I don't blame you for wanting to make this your Christmas card for this year, it's adorable!!! Love your image!! Thanks for joining our Santa Claus challenge at Catch the Bug. Love the image and it's perfect for your bulk Christmas makes as well as this week's challenge. Lovely CAS design, Nicky. The light blue panel really makes the image pop! Thanks for playing along with Day 1 of the Christmas Chaos challenges at Catch the Bug. 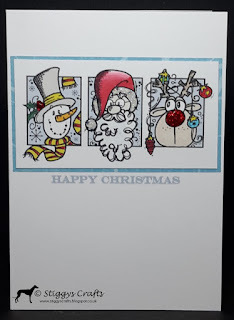 Beautifully CAS and a card perfect for postage! So glad to see you participating in our Christmas chaos event over at Catch the Bug! 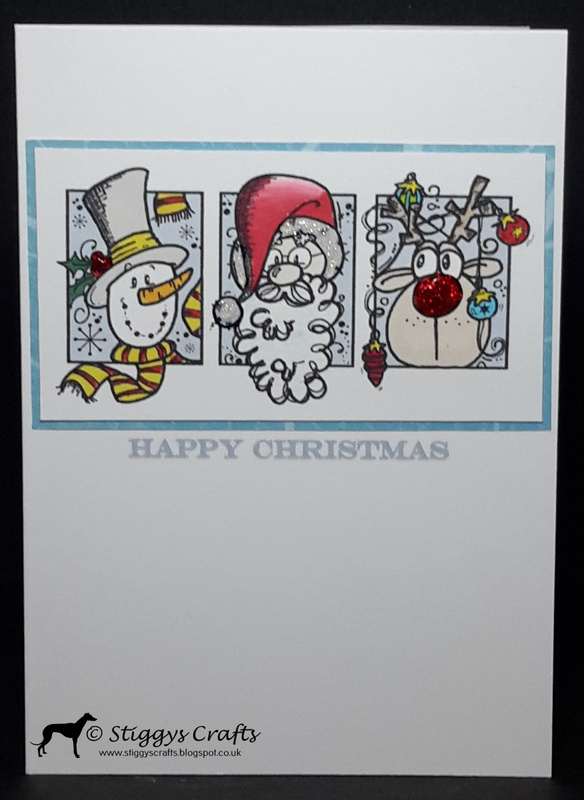 Love your Christmas card! I haven't had a chance to use this image yet...but I do love it! What a wonderful creation! Thanks for joining us at Catch the Bug!